The Sagnac effect, named after French physicist Georges Sagnac, is an optical phenomenon rooted in Einstein's theory of general relativity. To create it, a beam of light is split into two, and the twin beams travel in opposite directions along a circular pathway, then meet at the same light detector. Light travels at a constant speed, so rotating the device–and with it the pathway that the light travels–causes one of the two beams to arrive at the detector before the other. With a loop on each axis of orientation, this phase shift, known as the Sagnac effect, can be used to calculate orientation. Hajimiri's team found a way to weed out this reciprocal noise while leaving signals from the Sagnac effect intact. 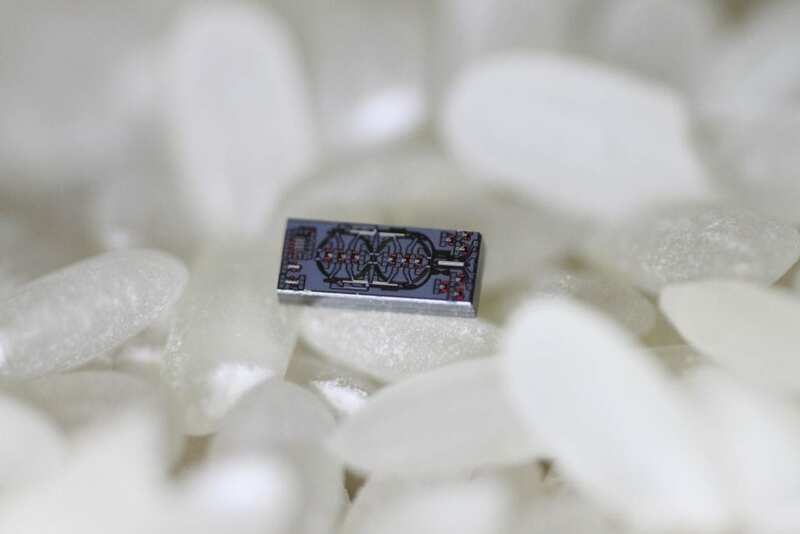 Reciprocal sensitivity enhancement thus improves the signal-to-noise ratio in the system and enables the integration of the optical gyro onto a chip smaller than a grain of rice.